Rustic wood and vintage design, this decorative Glass Planter Bulb Vase is cradled in a beautiful wooden stand. It’s perfect for adding a touch of green and elegance to your home or office. 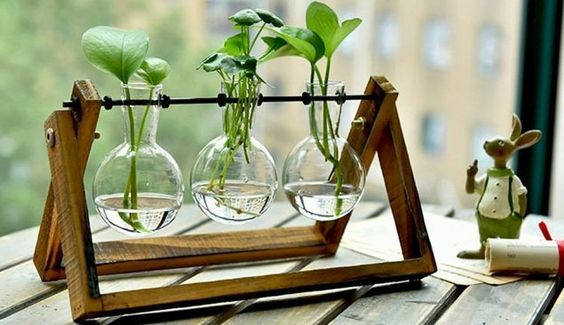 Makes a great gift for plant lovers who enjoy their plants with minimal fuss to keep them alive! Ferns and vines look particularly good in this modern, sleek and stylish planter and stand.